Above all else, we believe in being good to each other. But the holiday season — with its chilly weather changes — is an especially tough time of year for some, so we’re hosting a clothing drive to help clothe those in need. We welcome everyone to join in, too. 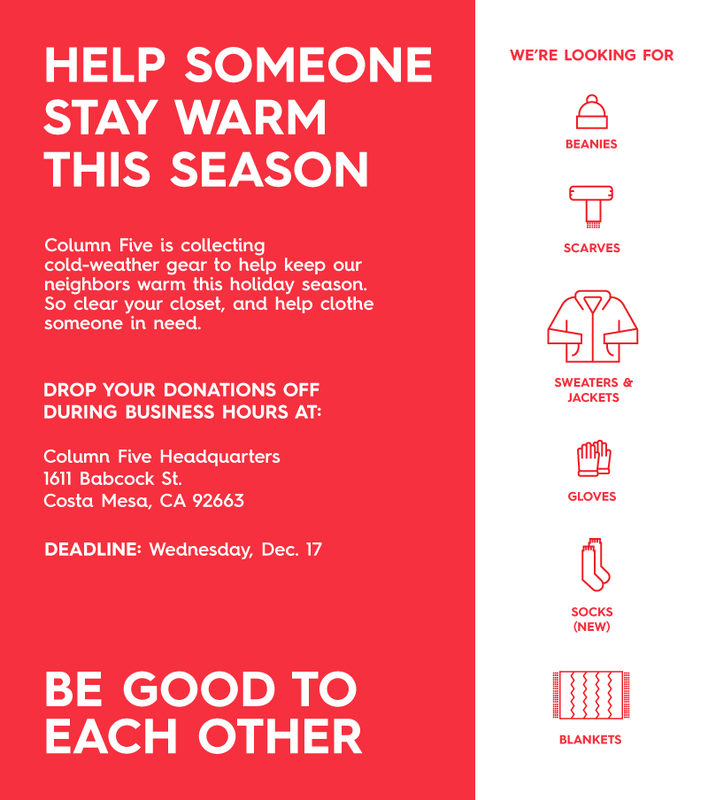 Drop your clothes off at Column Five HQ (1611 Babcock St., Costa Mesa, CA 92663) by Wednesday, Dec. 17 and help us spread the word!